The Magic Food Bus has been visited the 3/4 classes last fall and students had an opportunity to sample the bountiful harvest of this season. Highlights included making salsa, exploring the school garden, kale salad, making latkes, chopping vegetables, and making veggie dip. Students learned that potatoes can be purple and carrots can be yellow! We are so lucky to have active community groups providing these lessons for students. 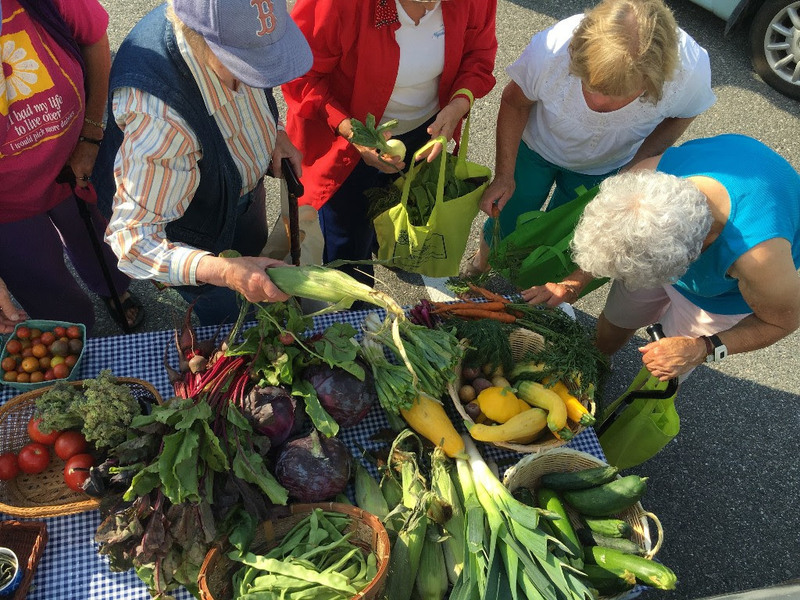 The Magic Food Bus shares the bounty of our Island and Peninsula farms with all members of our community. Another banner season for the Magic Food Bus! The Magic Food Bus visited four neighborhoods on the island every Thursday this summer and fall. The Bus brings an abundance of library books, fresh fruit and vegetables, and prepared food samples for all to enjoy. The stops on Deer Isle and Stonington saw over 700 visits this season! This is an increase of 50% over last year. The bus is clearly an important source of fresh food for our patrons. The Magic Food Bus is a collaborative project made possible by Healthy Peninsula, The Gleaning Initiative, Edible Island, and many local farmers, gardeners, and community partners. We recently launched a new blog on our website and the first few posts are all about the Magic Food Bus and our Good Food in Our Community initiatives. Take a look!